JEM AND THE HOLOGRAMS debuted on television in 1985, alongside a very successful toyline by Hasbro. The show was geared towards young females and featured a strong female lead along with mixed elements of science fiction, adventure, and romance. While it was a show geared towards young girls, the sci-fi elements and the music attracted young boys and young adults as well. JEM AND THE HOLOGRAMS captured the spirit of the 80s with it's big hair and catchy melodies. As part of the weekday morning line up along side shows like Transformers, it was a show the most kids did not miss before heading out to school. Hasbro announced earlier this year that a live-action, motion-picture adaptation of JEM AND THE HOLOGRAMS from Universal Pictures starring Aubrey Peeples and directed by Jon M. Chu is slated for release October 2015. 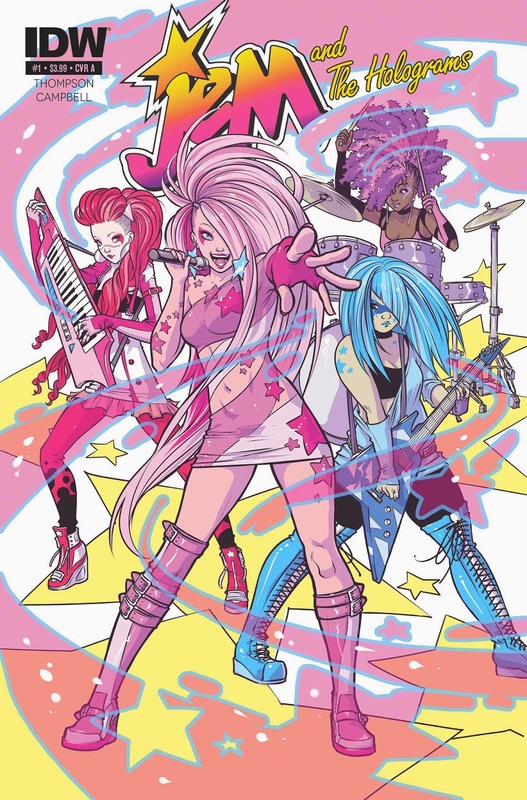 Following that announcement: IDW Publishing is excited to expand its long relationship with Hasbro and welcome JEM AND THE HOLOGRAMS to the world of comic books. Starting in March 2015, Jem and company will star in their first ongoing series! The creative team bringing this world full of fashion, art, action, and style to life is writer Kelly Thompson (Storykiller, The Girl Who Would Be King) and artist Ross Campbell (Glory, Teenage Mutant Ninja Turtles), with subscription covers by Sara Richard (My Little Pony, Kitty and Dino). Five stunning rainbow foil covers will be available for Issue One—one for each Hologram by artist Amy Mebberson (My Little Pony, Pocket Princesses), plus the whole band by series artist Ross Campbell—in a deluxe rainbow foil and hologram collectible box. A second box set for Issue two will feature another set of four covers by Mebberson and a group shot by Campbell—this time starring Jem’s greatest nemeses, The Misfits! The impact of the show is something that is still felt today thanks to the HUB network replaying those shows late at night and Black Nerd Girls doing their live tweets while the show is airing. Not only did the show feature some great music, but it incorporated music videos that went along with the story. The new look is definitely more interesting, it's like a combination of Punk and Glam rock with a more modern twist. 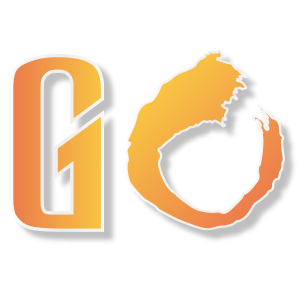 It would be cool the hear the music that would be associated with the new look, but that will probably not happen until the new movie comes out. I hope it does lead to new animated series that is closer to the upcoming comic book than the movie, because who knows how good the movie will be.